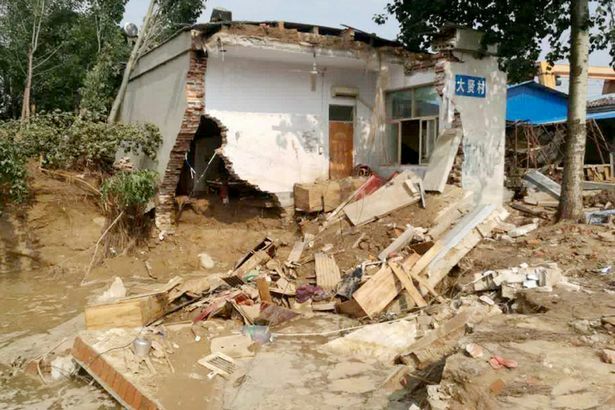 A man trapped in devastating floods was forced to make a split second decision – whether to save his wife, 2 kids and sick father or his mum who lived across town as torrential rains swept through China. Gao Fengshou, 39, knew that a serious storm was on its way to Daxian Village, in Xingtai City of North China’s Hebei Province. Even though his family members stayed up worrying about the storm, he made no plans to do anything and instead went to sleep. 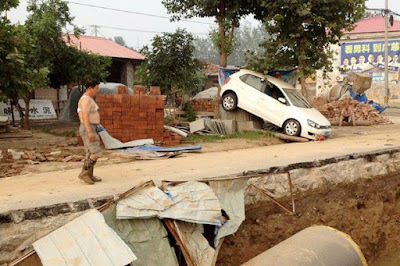 Well when the floods started coming in, his wife, 30 year old Zhang Xiaoyan, woke him up to tell him that the house was been flooded, rather than save his wife, 2 children and sick father, the man made the choice to dash across town to save his mother whose old family home was already waist-deep in water and abandoned his wife, kids and his father to their fate. 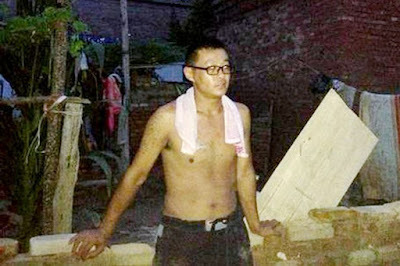 After he rescued his mother, he found that he could not return to his home as the floodwaters were already up to his chest. 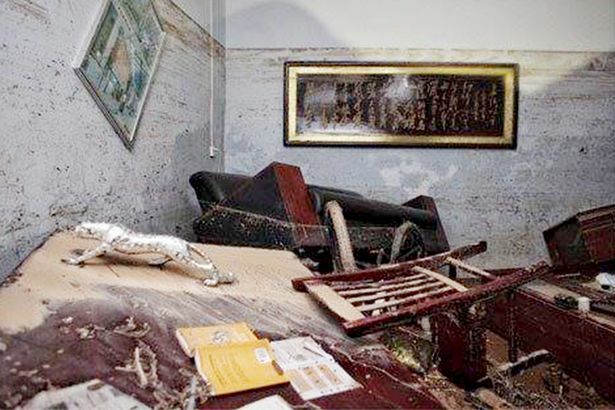 After waiting several hours for the water to recede, he rushed back to his house and was relieved to find Zhang, the kids, aged four and two, and his dad huddled on the roof of the house. His wife understandably dumped him and he’s now begging her to forgive him. The Daxian village was almost completely wiped out by the flood. At least 112 people died in that flood and 91 others have gone missing . What would you do if you were in that same situation…save your mother or wife?